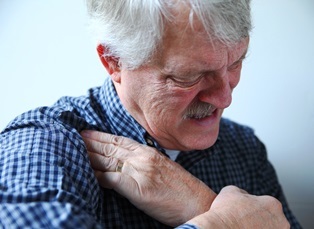 Shoulder and Knee Bursitis Injuries Caused at Work | Johnson & Gilbert, P. A. Are You at Risk of Developing Shoulder or Knee Bursitis Due to Your Job? Many people don't realize that performing their jobs can cause development of certain medical conditions, resulting in continual discomfort or even prevent them from working. One painful injury is knee or shoulder bursitis. If you develop this medical condition, you may need to take months or longer off work to recover. Fortunately, you may be entitled to workers’ compensation benefits in Florida if your injury is job-related. Bursitis is a condition involving the bursae—small sacs containing fluid that operate as cushions between bones and tendons near a person’s joints. Bursitis occurs when the bursae become inflamed. Individuals who do certain types of work are more likely to develop bursitis of the knee and shoulder. This painful condition often causes swelling of the affected area, disabling joint pain, or sharp, shooting pain that can make it impossible for an employee to continue working. Bursitis is often caused by repetitive movements or working in physical positions over periods of time that put pressure on the bursae. While bursitis can also be the result of a sudden injury to the shoulder or knees, it often develops gradually. Shoulder bursitis is caused by repetitive movements that require raising the arms above shoulder level. Painters, drywall installers, and warehouse workers are just some of the individuals who develop this injury. If you suffer with knee or shoulder bursitis caused by your job, you may be entitled to workers’ compensation benefits to pay for medical treatment and to replace wages while you're off work during recovery. Because it can take months or longer for someone to feel the symptoms of this medical condition, your employer’s insurance company may try to deny the claim and argue that your bursitis was caused by an incident than work duties. Our skilled workers’ compensation attorneys can fight aggressively for your right to benefits. Call our office today to schedule a free consultation to learn more about how we can assist you.